"I'm a lot more emotional than I used to be, weirdly. I never used to get too wound up or worried about things, but now the smallest little things, you well up a little more, you get affected by the sort of things that happen around the world or whatever a lot more, I think, as a father, just because you realize how precious life is and it puts it all in perspective. The idea of not being around to see your children grow up and stuff like that." Both William and Kate initially reserved making revealing public statements for rare occasions, but in recent years they have come into the spotlight a bit more frequently, giving the public more insight into their personalities. Now that the royal couple is parents to two-year-old George and eight-month-old Charlotte, fans have also gotten a better sense of what it's like for them to raise a family together. Having children is an almost inevitable aspect of being a royal, but from the start, this particular couple made it clear they weren't taking the decision lightly. When asked during their first joint interview whether the couple wanted "lots of children," William answered with his usual sense of composure. 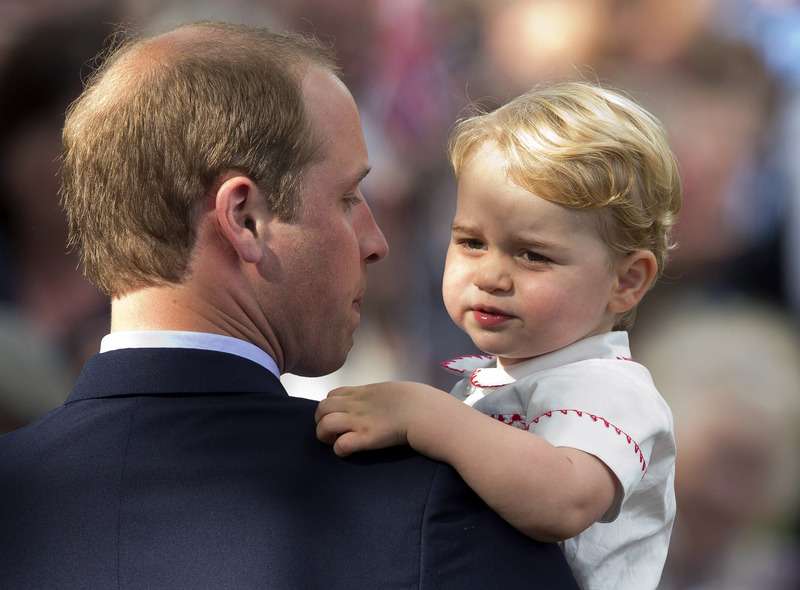 "I think we'll take it one step at a time," William said to the UK Press Association, according to ABC News. "We'll sort of get over the marriage thing first and then get to the kids. Obviously, we want a family, so we'll have to start thinking about that." A few years later, the royal couple does indeed have an (adorable) family, and it appears they couldn't be happier. It's so sweet to hear William opening up about being a father, and it's clear to anyone that he, Kate, George and Charlotte are a perfect unit.